Hello people, I'm late again as my computer is poorly and keeps shutting down! It is very hard to post anything as you just get the post written and hey presto! its all gone cos the computer just crashed! OK quickly, the challenge for the pink team is to make something out of your comfort zone. I made a clock - don't know why and it was definitely out of my comfort zone!! 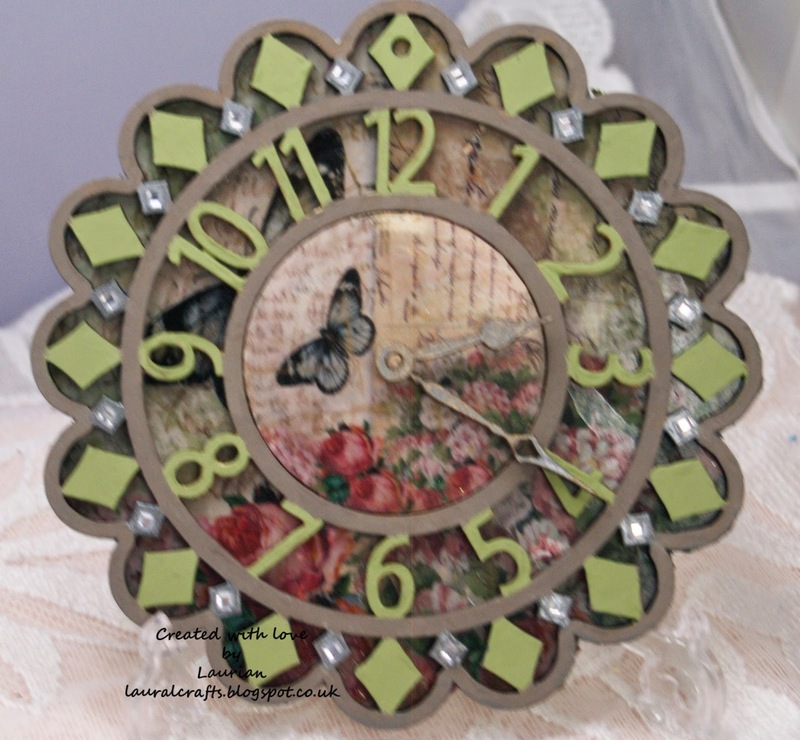 So if I can make a clock - you can make something outside of your comfort zone! The papers used are from Michelle Roo and are luscious! Come over to Eclectic Ellapu and join us! This is OUT standing! Great job and it is beautiful.